Virgin Australia on September 27, 2018 will launch nonstop service from Hobart, Tasmania to Perth, Western Australia. The new route will operate three days a week with Boeing 737-800 aircraft. Photo Above Virgin Australia. 2018 is the Chinese Year Of The Dog, and a pack of picture paw-fect pooches joined the Virgin Australia Cabin Crew and Dannii Minogue on the tarmac to celebrate the inaugural Sydney – Hong Kong flight. 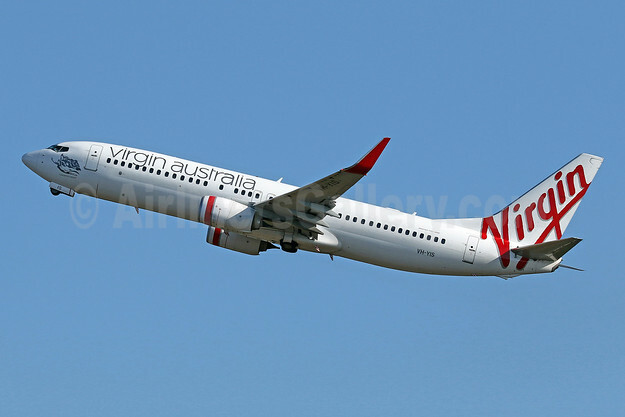 Top Copyright Photo: Virgin Australia Airlines Boeing 737-8FE WL VH-YIS (msn 39926) DPS (Pascal Simon). Image: 942654. This entry was posted in Virgin Australia Airlines and tagged Boeing 737-8FE WL, msn 39926, VH-YIS, Virgin Australia Airlines on July 6, 2018 by Bruce Drum.